Amanda Bacchus-Morris, MD, MPH, practices internal medicine and serves as a primary care physician at AMG Medical, where she works alongside her husband, Dr. Gerald Morris. Dr. Bacchus-Morris is from the tropical island of St. Vincent and the Grenadines. She completed her medical training at St George’s University in Grenada, with a dual degree in medicine and a master’s in public health. She concluded her medical school training with clinical rotations in the United Kingdom and New York. 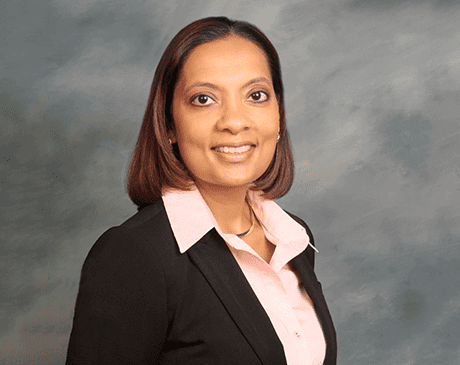 After graduating from medical school in 2007, Dr. Bacchus-Morris completed her internal medicine residency at Seton Hall University Program – St Michael’s Medical Center in Newark, New Jersey. She relocated to Tucson, Arizona, seven years ago where she has been practicing as an outpatient internist and also served as a clinical tutor for the internal medicine residency program at Banner–University Medical Center South Campus. Dr. Bacchus-Morris is a diplomate of the American Board of Internal Medicine and the American Board of Obesity Medicine. Her clinical focus includes primary prevention and management of chronic medical conditions in adults. She also has a special interest in women’s health and is seeking her nutrition and exercise certification in functional medicine. Dr. Bacchus-Morris is married to Dr. Gerald Morris, who also practices internal medicine in Tucson. They have been married for more than 10 years and have two sons. They enjoy traveling and doing outdoor activities as a family. Dr. Bacchus-Morris loves cooking, especially gluten-free cooking, and takes pride in growing her own vegetables. For your convenience, AMG Medical accepts most major insurance plans. Click on "View full list of companies" to see a list of commonly accepted insurances. This list is not entirely inclusive of all plans we accept. For specific insurance plan inquiries, please contact our office and a member of our friendly staff will be happy to help.